Thursday 29 September – it was a lovely late afternoon and we supposed to be meeting at 5.30 in front of cafe bookshop. Arriving there couple of minutes early, I was certainly not expecting that. Wow, what a turnout! 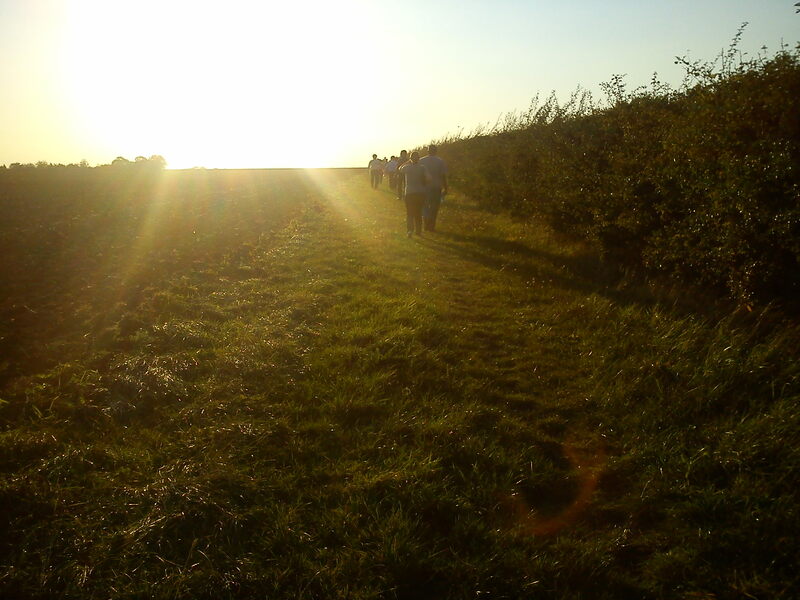 I counted just about 30 of us, going for a stroll across the fields towards North Crawley in glorious sunshine – students from various countries such as China, Malta, Egypt, Greece, Germany and USA – many especially from MSc course in Logistics Management. After tackling some unruly stiles, whizzing through couple of kissing gates, tasting some blackberries and taking a shortcut across a field, we stopped for some homemade ice cream and a cake at Angela’s farm shop at Lodge Farm to cool off, before heading back via stables and arriving at Cranfield University just as the dusk set in. Our walking party was quite spread out so I am sorry to those I have not said ‘good night’ to. Special thanks to Graham and Simon who coordinated the walk back and front. PS: remember, you can buy Lodge Farm milk in CSA shop – the greenest milk on campus as it is produced locally, merely 2 km away from the university, and supplied in glass bottles that can be returned, washed, back at the CSA shop. This entry was posted in Blog, Walks and tagged being green, Cranfield University, environment.